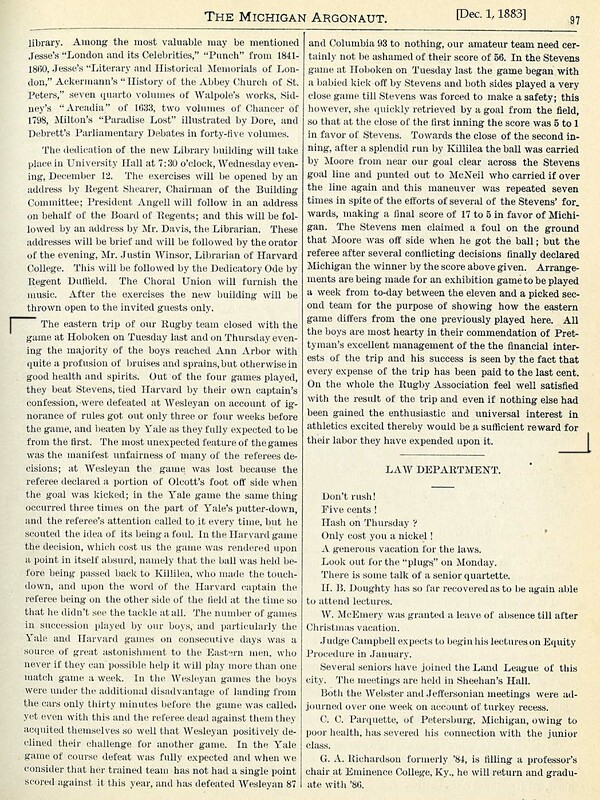 The outcome of the Stevens Institute is disputed by some. 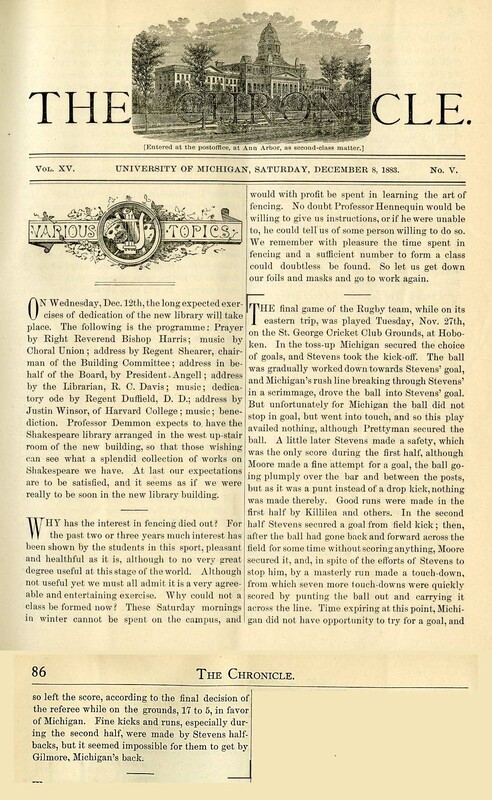 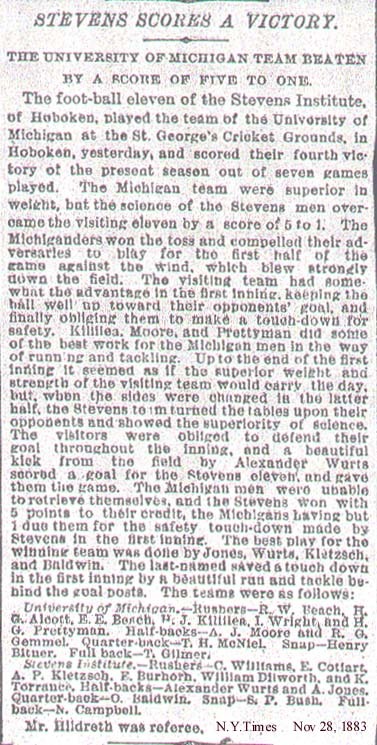 Michigan has always claimed the victory, but Stevens partisans claim the final score was 5-1 in favor of the New Jersey school. 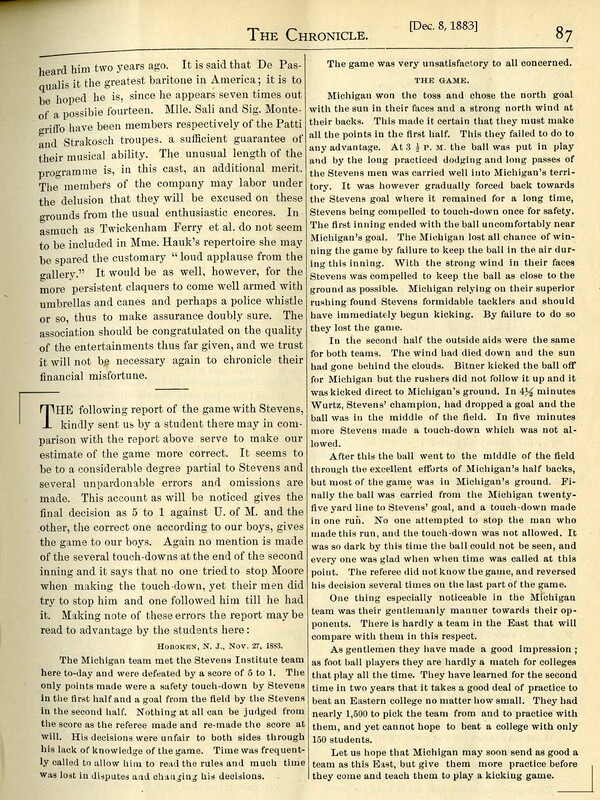 The referee's confusion over the rules and several reversals of his own decisions led to the disputed claims.